This conference is called because we have no moral choice, before God, but to delve deeper into the struggle – and to do so with greater reliance on non-violence and with greater unity, coordination, sharing and Christian understanding.” – Rev. Martin Luther King, Jr.
“Martin Luther King and the Montgomery Story,” educational comic book published by the Fellowship of Reconciliation following the success of the Montgomery Bus Boycott. Cover. Inspired by the success of the Montgomery bus boycott, the Southern Christian Leadership Conference (SCLC) was founded by the Reverend Martin Luther King, Jr. in 1957 to help local organizations coordinate in the fight for equal rights (Stanford University, n.d.). The SCLC was a part of the “Big Five:” the National Association for the Advancement of Colored People (NAACP), the National Urban League (NUL), the Student Nonviolent Coordinating Committee (SNCC), and the Congress on Racial Equality (CORE) (National Park Service, n.d.). Through the SCLC, King sought to make known the inherent violence in white supremacy (Jackson, 2007). Unlike other organizations at the time, the SCLC was an umbrella organization that recruited local organizations, rather than individuals, to join. They promoted nonviolent advocacy, framing the struggle for civil rights as a moral obligation (Stanford University, n.d.). Likewise, SCLC leaders believed churches should be involved in political and social justice. Thus, many SCLC meetings were held at black churches, establishing these churches as important symbols in the struggle for civil rights (National Park Service, n.d.). 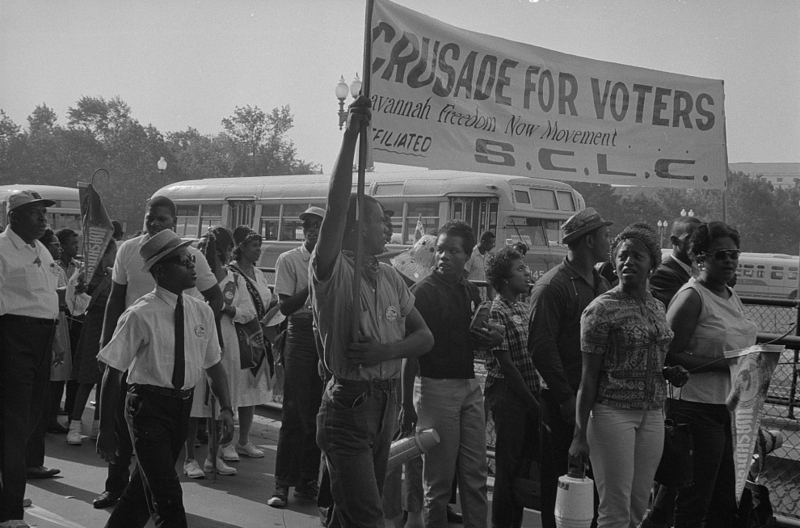 The SCLC offered leadership-training programs, conducted citizen-education projects, and held voter-registration drives. The SCLC is also notable for its part in the March on Washington, its anti-discrimination efforts, and its voter-registration in Albany, Georgia, Birmingham, Alabama, and Selma, Alabama, which drove the passage of the Civil Rights Act of 1964 and Voting Rights Act of 1965 (The Editors of Encyclopedia Britannica, n.d.). Furthermore, SCLC’s vision expanded over time, targeting broader issues such as economic inequality. For example, in 1967, the SCLC began the Poor People’s Campaign (National Park Service, n.d.). In the years preceding King’s death, tensions began to grow between the SCLC and more militant groups. Others began to criticize King and the SCLC for being too moderate, instead of propagating “Black Power” (Stanford University, n.d.). After King’s assassination in 1968, the Reverend Ralph Abernathy became president of the SCLC. While the organization was able to preserve its philosophy of nonviolence, the SCLC lost some steam and began to focus on smaller campaigns in the south. Nevertheless, it continued organizing voter drives, prepared African American political candidates, and lobbied for Martin Luther King, Jr. Day as a national holiday (The Editors of Encyclopedia Britannica, n.d.). Today, the SCLC is active nationwide, and its focus has grown to include both domestic and global matters of human rights (SCLC). Jackson, T. F. (2007). 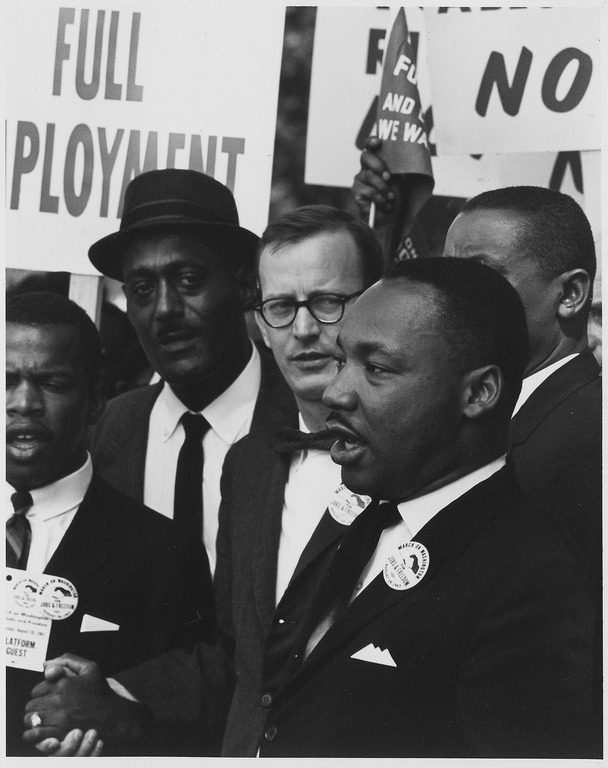 From civil rights to human rights: Martin Luther King, Jr., and the struggle for economic justice. Philadelphia, PA: University of Pennsylvania Press.